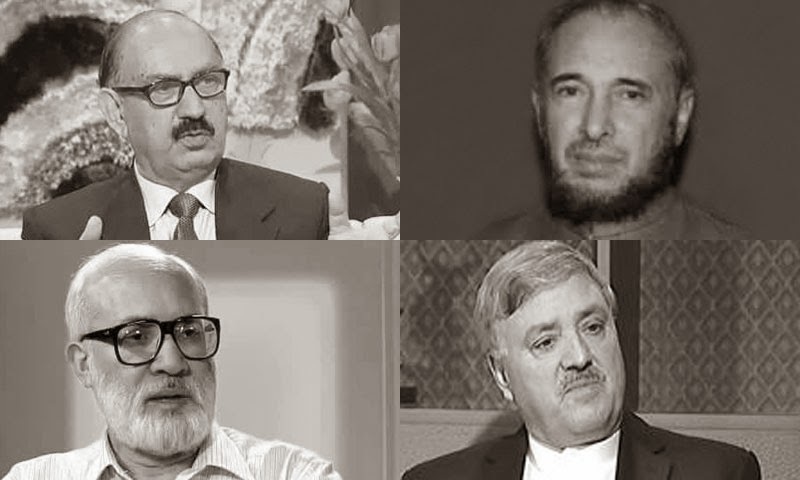 Chagatai Khan: Irfan Siddiqui and TTP Jang Group. Irfan Siddiqui and TTP Jang Group. Press Conference of PMs Advisor Irfan Siddiqui. Osama: CIA had trained Pakistani commandos DAWN WIRE SERVICE: Week Ending : 6 October 2001 Issue : 07/40 WASHINGTON, Oct 3: The US Central Intelligence Agency had trained some Pakistani commandos in 1999 to enter Afghanistan and capture Osama bin Laden, but the plan was shelved when the Nawaz Sharif government was displaced by the military. The revelation is made in a story published by The Washington Post under banner headlines. It says the operation was arranged by Nawaz Sharif and his chief of intelligence with the Clinton administration, which in turn had promised to lift sanctions on Pakistan and provide an economic package the precise steps that the Bush administration is now undertaking following Islamabad's pledge of support for the US-led campaign against terrorism. Deputy Secretary of State Richard Armitage refused in a television interview on Wednesday morning to comment on the Post story, saying intelligence matters could not be discussed in public, but unnamed administration officials were quoted as confirming the report. The Post also said a proposal by Sudan in 1996 to arrest Osama, who was then in that country, and deport him to Saudi Arabia had fallen through after Riyadh refused to agree to accept Osama. Talking of a record of "missed opportunities" in the drive against Osama and Al Qaeda, the Post said the US-Pakistani intelligence plan was set in motion less than 12 months after American Tomahawk missiles were launched on Afghanistan. 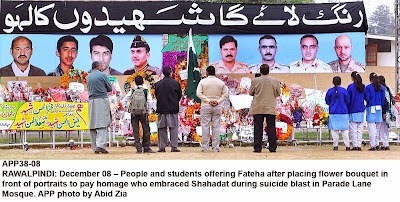 The Pakistani commando team trained by the CIA "was up and running and ready to strike by October 1999", according to one official, when the plan was aborted after the Oct 12 overthrow of the Sharif government by Gen Pervez Musharraf and the army. The Post says Gen Musharraf, who has now committed himself to back the US, had refused to continue with the operation despite attempts at persuasion by the Clinton administration. It adds: "The record of the CIA's aborted relationship with Pakistan two years ago illustrates the value - and the pitfalls - of such an alliance in targeting bin Laden." In 1999, the CIA secretly trained and equipped approximately 60 commandos from the Pakistani intelligence agency to enter Afghanistan for the purpose of capturing or killing Osama bin Laden, according to people familiar with the operation. The operation was arranged by then-Pakistani Prime Minister Nawaz Sharif and his chief of intelligence with the Clinton administration, which in turn promised to lift sanctions on Pakistan and provide an economic aid package. The plan was aborted later that year when Sharif was ousted in a military coup. The plan was set in motion less than 12 months after U.S. cruise missile strikes against bin Laden's training camps in Afghanistan that Clinton administration officials believe narrowly missed hitting the exiled Saudi militant. The clandestine operation was part of a more robust effort by the United States to get bin Laden than has been previously reported, including consideration of broader military action, such as massive bombing raids and Special Forces assaults. It is a record of missed opportunities that has provided President Bush and his administration with some valuable lessons as well as a framework for action as they draw up plans for their own war against bin Laden and his al Qaeda network in the aftermath of the Sept. 11 attacks on New York and Washington. The Pakistani commando team was up and running and ready to strike by October 1999, a former official said. "It was an enterprise," the official said. "It was proceeding." Still stung by their failure to get bin Laden the previous year, Clinton officials were delighted at the operation, which they believed provided a real opportunity to eliminate bin Laden. "It was like Christmas," a source said. The operation was aborted on Oct. 12, 1999, however, when Sharif was overthrown in a military coup led by Gen. Pervez Musharraf, who refused to continue the operation despite substantial efforts by the Clinton administration to revive it. Musharraf, now Pakistan's president, has emerged as a key ally in the Bush administration's efforts to track down bin Laden and destroy his terrorist network. The record of the CIA's aborted relationship with Pakistan two years ago illustrates the value -- and the pitfalls -- of such an alliance in targeting bin Laden. Pakistan and its intelligence service have valuable information about what is occurring inside Afghanistan, a country that remains closed to most of the world. But a former U.S. official said joint operations with the Pakistani service are always dicey, because the Taliban militia that rules most of Afghanistan has penetrated Pakistani intelligence. "You never know who you're dealing with," the former senior official said. "You're always dealing with shadows." 'We Were at War' : In addition to the Pakistan operation, President Bill Clinton the year before had approved additional covert action for the CIA to work with groups inside Afghanistan and with other foreign intelligence services to capture or kill bin Laden. The most dramatic attempt to kill bin Laden occurred in August 1998, when Clinton ordered a Tomahawk cruise missile attack on bin Laden's suspected training camps in Afghanistan in response to the bombings of U.S. embassies in Kenya and Tanzania. At the time, the Pentagon informed the president that far more ambitious and riskier military actions could be undertaken, according to officials involved in the decision. The options included a clandestine helicopter-borne night assault with small U.S. special operations units; a massive bombing raid on the southeastern Afghan city of Kandahar, the spiritual home of the Taliban and a place frequently visited by bin Laden and his followers; and a larger air- and sea-launched missile and bombing raid on the bin Laden camps in eastern Afghanistan. Clinton approved the cruise missile attack recommended by his advisers, and on Aug. 20, 1998, 66 cruise missiles rained down on the training camps. An additional 13 missiles were fired at a pharmaceutical plant in Sudan that the Clinton administration believed was a chemical weapons factory associated with bin Laden. Clinton's decision to attack with unmanned Tomahawk cruise missiles meant that no American lives were put in jeopardy. The decision was supported by his top national security team, which included Secretary of State Madeleine K. Albright, Secretary of Defense William S. Cohen and national security adviser Samuel R. "Sandy" Berger, officials said. In the aftermath of last month's attacks on the United States, which the Bush administration has tied to bin Laden, Clinton officials said their decision not to take stronger and riskier action has taken on added relevance. "I wish we'd recognized it then," that the United States was at war with bin Laden, said a senior Defense official, "and started the campaign then that we've started now. That's my main regret. In hindsight, we were at war." Outside experts are even more pointed. "I think that raid really helped elevate bin Laden's reputation in a big way, building him up in the Muslim world," said Harlan Ullman, a defense analyst at the Center for Strategic and International Studies, a Washington think tank. "My sense is that because the attack was so limited and incompetent, we turned this guy into a folk hero." Senior officials involved in the decision to limit the attack to unmanned cruise missiles cite four concerns that in many ways are similar to those the Bush administration is confronting now. One was worry that the intelligence on bin Laden's whereabouts was sketchy. Reports at the time said he was supposed to be at a gathering of terrorists, perhaps 100 or more, but it was not clear how reliable that information was. "There was little doubt there was going to be a conference," a source said. "It was not certain that bin Laden would be there, but it was thought to be the case." The source added, "It was all driven by intelligence. . . . The intelligence turned out to be off." A second concern was about killing innocent people, especially in Kandahar, a city already devastated by the Soviet Union's 1979 invasion of Afghanistan. Large loss of civilian life, the thinking went, could have cost the United States the moral high ground in its efforts against terrorism, especially in the Muslim world. The risks of conducting a long-range helicopter assault, which would require aerial refueling at night, were another factor. The helicopters might have had to fly 900 miles, an official said. Administration officials especially wanted to avoid a repeat of the disastrous 1980 Desert One operation to rescue American hostages in Iran. During that operation, ordered by President Jimmy Carter, a refueling aircraft collided with a helicopter in the Iranian desert, killing eight soldiers. A final element was the lack of permission for bombers to cross the airspace of an adjoining nation, such as Pakistan, or for helicopters to land at a staging ground on foreign soil. Since Sept. 11, Pakistan, Uzbekistan and Tajikistan have offered the United States use of bases and airspace for any new strike against bin Laden. Bin Laden, 44, a member of an extended wealthy Saudi family, was expelled from Saudi Arabia in 1991 and stripped of his citizenship three years later. In early 1996, the CIA set up a special bin Laden unit, largely because of evidence linking him to the 1993 bombing of the World Trade Center. At the time, he was living in Sudan, but he was expelled from that country in May 1996 after the CIA failed to persuade the Saudis to accept a Sudanese offer to turn him over. After his subsequent move to Afghanistan, bin Laden became a major focus of U.S. military and intelligence efforts in February 1998, when he issued a fatwa, or religious order, calling for the killing of Americans. "That really got us spun up," recalled retired Marine Gen. Anthony C. Zinni, who was then the chief of the Central Command, which oversees U.S. military operations in the Middle East and Central Asia. When two truck bombs killed more than 200 people at the U.S. embassies in Kenya and Tanzania in August of that year, and the U.S. government developed evidence that bin Laden was behind both attacks, the question was not whether the United States should counterattack, but how and when. And when depended on information about his whereabouts. Two weeks later, intelligence arrived in Washington indicating that bin Laden would be attending a meeting in eastern Afghanistan. Much turned on the quality of the intelligence provided by CIA Director George J. Tenet, recalled a senior official who had firsthand knowledge of the administration's debate on how to respond. "Some days George was good," the official said, "but some days he was not so good. One day he would be categorical and say this is the best we will get . . . and then two days later or a week later, he would say he was not so sure." 'It Was a Sustained Effort' The quality of the intelligence behooved restraint in planning the raid. Hitting bin Laden with a cruise missile "was a long shot, very iffy," recalled Zinni, the former Central Command chief. "The intelligence wasn't that solid." At the same time, new information surfaced suggesting that bin Laden might be planning another major attack. Top Clinton officials felt it was essential to act. At best, they calculated, bin Laden would be killed. And at a minimum, he might be knocked off balance and forced to devote more of his energy to hiding from U.S. forces. "He felt he was safe in Afghanistan, in the mountains, inside landlocked airspace," Zinni said. "So at least we could send the message that we could reach him." In all, 66 cruise missiles were launched from Navy ships in the Arabian Sea off the coast of Pakistan into the camps in Afghanistan. Pakistan had not been warned in advance, but Air Force Gen. Joseph Ralston, then the vice chairman of the Joint Chiefs of Staff, met with Pakistani officials at the precise time of the launch to tell them of the operation. He also assured them that Pakistan was not under surprise attack from India, a potential misapprehension that could have led to war. At least one missile lost power and crashed in Pakistan, but the rest flew into Afghanistan and slammed into suspected terrorist training camps outside Khost, a small town near the Afghan-Pakistani border. Most of the cruise missiles were carrying loads of anti-personnel cluster bomblets, with the intention of killing as many people as possible. Reports from the scene were inconclusive. Most said that the raid killed about 30 people, but not bin Laden. Intelligence that reached top Clinton administration officials after the raid said that bin Laden had left the camp two or three hours before the missiles struck. Other reports said he might have left as many as 10 or 12 hours before they landed. Sources in the U.S. military said the launch time was adjusted some to coordinate it with the Sudan attack andto launch after sundown to minimize detection of the missiles. This had the effect of delaying the launch time by several hours. An earlier launch might have caught bin Laden, two sources said. Cohen came to suspect that bin Laden escaped because he was tipped off that the strike was coming. Four days before the operation, the State Department issued a public warning about a "very serious threat" and ordered hundreds of nonessential U.S. personnel and dependents out of Pakistan. KK: The story starts in 1986-87, when out of emotion I wrote a letter to General Zia ul-Haq saying that he was a hypocrite and he was only interested in ruling Pakistan, rather than imposing Islamic law in the country. General Zia immediately ordered my dismissal from my basic services in the Pakistan air force, where I was a squadron leader, and from the ISI, where I was deputed at the Afghan desk. I went to Afghanistan and fought side-by-side with the Afghan mujahideen against Soviet troops. There I developed a friendship with Dr Abdullah Azzam [a mentor of bin Laden], Osama bin Laden and Sheikh Abdul Majeed Zindani [another mentor of bin Laden's]. At the same time, I was still in touch with my former organization, the ISI, and its then DG [director general], retired Lieutenant General Hamid Gul. After General Zia's death in a plane crash , elections were announced and there was a possibility that the Pakistan People's Party [PPP] led by Benazir Bhutto would win, which would be a great setback for the cause of jihad. We discussed this situation, and all the mujahideen thought that they should play a role in blocking the PPP from winning the elections. I joined my former DG Hamid Gul and played a role in forming the then Islamic Democratic Alliance comprising the Pakistan Muslim League and the Jamaat-i-Islami. The PPP won the elections by a thin margin and faced a strong opposition. Osama bin Laden provided me with funds, which I handed over to Nawaz Sharif, then the chief minister of Punjab [and later premier], to dislodge Benazir Bhutto. Nawaz Sharif insisted that I arrange a direct meeting with the "Sheikh", which I did in Saudi Arabia. Nawaz met thrice with Osama in Saudi Arabia. The most historic was the meeting in the Green Palace Hotel in Medina between Nawaz Sharif, Osama and myself. Osama asked Nawaz to devote himself to "jihad in Kashmir". 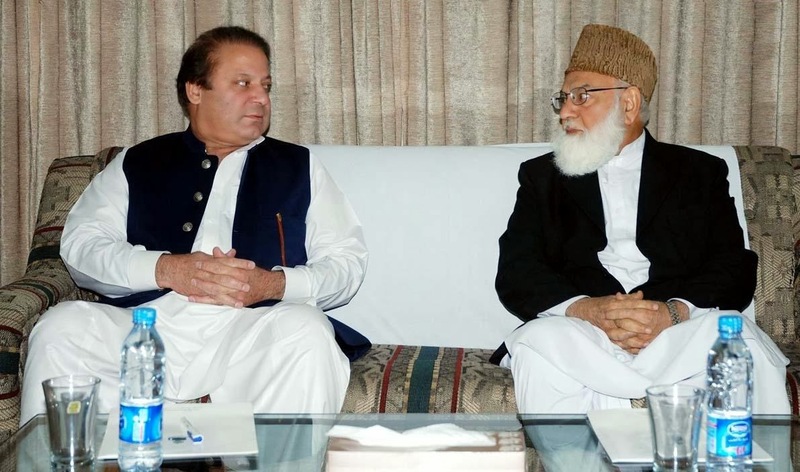 Nawaz immediately said, "I love jihad." Osama smiled, and then stood up from his chair and went to a nearby pillar and said. "Yes, you may love jihad, but your love for jihad is this much." The momentum for finding a strategy that will allow for an honorable exit is becoming irresistible. Enter Mansoor Ijaz, a US citizen of Pakistani origin with close ties to the right wing of the Republican Party. In London, with the help of British authorities, he began the peace process. Mansoor's point man in Pakistan is Khalid Khawaja, a former Pakistan Inter-Services Intelligence (ISI) official who was a close friend of Osama bin Laden. Khawaja's associates included Paracha, a former member of the provincial assembly in North West Frontier Province and leader of the Pakistan Muslim League (Nawaz group). His claim to fame is his advocacy for the families of al-Qaeda operators detained by Pakistani authorities. One of the inducements put on the table for the Taliban leadership was their inclusion in the government of President Hamid Karzai, but Mullah Omar rejected this, saying there could not be any form of a deal until all foreign forces were pulled out of Afghanistan. Thus there was no possibility of the Taliban laying down their weapons. "Actually, the media have jeopardized the peace initiative when it is still in its initial stages, though part of the news is correct, that yes, there is a discourse between the Taliban and the US, but it is wrong that any US officials met Javed Ibrahim Paracha," Khalid Khawaja told Asia Times Online. Asia Times Online sources in the Afghan resistance across the border from Pakistan confirm that there has been recent contact between Karzai and the Taliban leadership. This took place through a go-between. Karzai, according to the contacts, sought support for himself and agreed that any cooperation with the Taliban would hinge on one single point - the evacuation of foreign troops. The contact was confirmed at a time the Afghan parliamentary results confirmed that members of the former Taliban regime and former mujahideen leaders had won seats in parliament with heavy mandates. KARACHI - There was a day when former premier Nawaz Sharif was part of Pakistan's ruling military oligarchy. He tried to be independent and a strongman, and consequently was removed from power in a bloodless coup by now President General Pervez Musharraf on October 12, 1999. However, after serving a year in jail and then going into exile in Saudi Arabia to avoid charges of treason and hijacking, he has once again dealt with the military and finalized a deal with the director general of Inter-Services Intelligence (ISI), Lieutenant General Nadeem Taj, in Saudi Arabia. As a result, they both returned to Pakistan - on flights half an hour apart - on Sunday. Sharif returned to the country two months ago, but was hustled straight back onto a plane to Saudi Arabia. This time there was no such drama as the circumstances have changed. According to Asia Times Online contacts, a retired military brigadier and the publisher of a large media group were involved in backroom negotiations between the military, Sharif and Saudi Arabia which resulted in him being given the go-ahead to return to Pakistan provided "he did not make trouble". Musharraf is expected to be sworn in as a civilian president this week, which means he will step down as chief of the army staff in preparation for national elections in January. According to the contacts, following the elections, Shabaz Sharif, the younger brother of Nawaz, has been earmarked to lead a unity government comprising liberal democratic forces, but under the umbrella of the military. Initially, former premier Benazir Bhutto had been chosen for this job and she, too, returned from exile, only to fall out with the United States-inspired plan and Musharraf himself. It is not yet clear what part Nawaz Sharif, considered a conservative and traditionalist and an acceptable face for Pakistan's religious forces, will play in this new political dispensation. Just a day before his return, two devastating suicide attacks killed at least 16 people in the garrison town of Rawalpindi adjoining Islamabad. One attacker targeted a vehicle carrying ISI personnel, the other a gate at the military's general headquarters (GHQ). Enforcement of TTP Sharia Law in Pakistan.